Borussia Dortmund’s recovery from a fractious campaign that saw them change managers twice last season comes under stern examination when they travel to Hannover Friday night in the Bundesliga’s opening fixture of match day two. With fans regularly filling the 80,000 seat Signal Iduna Park Stadium, Dortmund are one of Europe’s best supported teams. Following a 4-1 victory over RB Leipzig on the opening weekend, expectations are high that now boss Lucien Favre can help the club challenge for the title. Dortmund won their last two titles under Jurgen Klopp in 2011 and 2012 but there is a real buzz about the club under Favre. Last Sunday fans were in ecstasy after watching long time favourite and new skipper Marco Reus net twice. 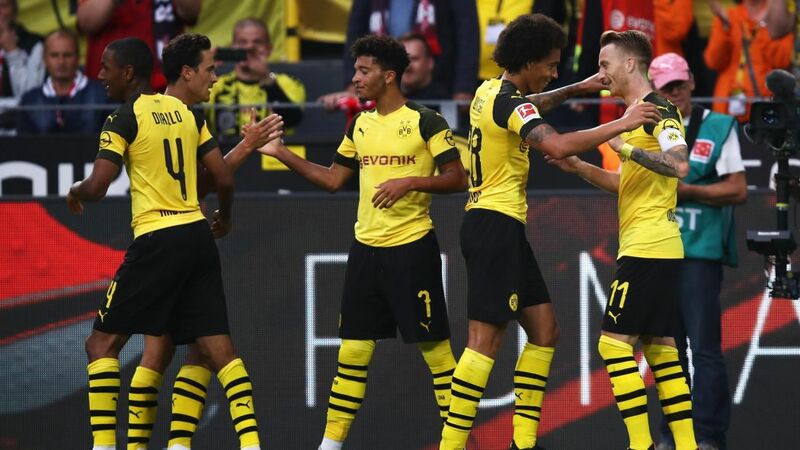 Summer recruit Axel Witsel was also on the score sheet as Dortmund recovered from going a goal down to sit atop the nascent Bundesliga table ahead of Bayern Munich on goal difference. Last season’s surprise runners up Schalke will be hoping to recover from an opening day reverse at Wolfsburg when they host tricky Hertha Berlin. Schalke boss Domenico Tedesco is among the continent’s most highly sought after young managers but chances are slim his resource constrained side can shake off the moniker of Bundesliga perennial bridesmaids. Record winners and seven time defending champions Bayern Munich are at Stuttgart a day later. Recruited in the off-season to replace retiring septuagenarian Jupp Heynckes, the Bavarians’ Croatian boss Robert Kovac got off to a winning start at home to Hoffenheim. Kovac will be without injured winger Kingsley Coman but he won’t be overly concerned as veteran Arjen Robben replaced the young Frenchman with devastating effect at the Allianz Arena. Elsewhere, Julian Nagelsmann’s talented Hoffenheim, who finished third to directly qualify for the Champions League, are chasing their first victory at home to Freiburg. Meanwhile, Bayer Leverkusen’s much vaunted attacking trident of Julian Brandt, Leon Bailey and Kevin Holland test their prowess against Wolfsburg. Frankfurt v Werder Bremen, Nuremberg v Mainz, RB Leipzig v Fortuna Düsseldorf, Augsburg v Moenchengladbach.